Flushable wipes which are maceratable and break up into fragments when they have been in water for 15-20 mins. 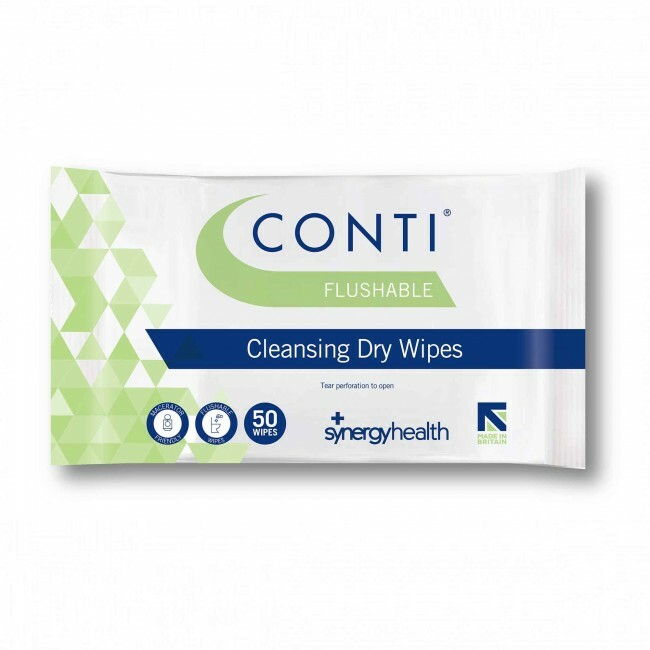 The wipes are a convenient size of 33 x 22cm, and have been tried and tested to ensure they are dispersible, minimising the risk of costly drain blockages. Their combination of strength and softness means they are suitable for medical and healthcare environments, and are specially ideal for continence care. Conti Flushable are proven to be more dispersible than alternative brands, minimising the risk of costly drain blockages.